Being able to broadcast live telephone conversations can be a real bonus for your radio station. In fact, be it with listeners or with celebrities, the phone call is one of the simplest ways to create original and interesting content. Why is Skype not the best solution? Most broadcasters think, wrongly, that Skype is the optimal way to broadcast live telephone calls. In fact, using Skype on the same computer as your broadcasting software is likely to cause an echo, both for you and for your listeners. This echo is due to the fact that your computer is receiving several audio inputs at the same time (your voice + Skype), causing a type of mix-up which is often badly dealt with, and which alters the sound quality for your listeners. To avoid this and broadcast problem-free, on our blog we will today suggest a simple device, which you will be able to create at home. 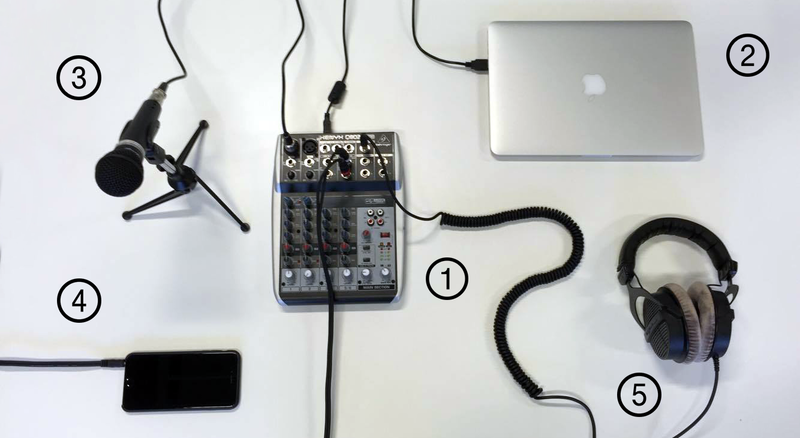 This device is made up of: one mixing table (no need for a very complex table, a small one which you can buy for around $70 will be more than enough), a computer, a microphone, a cell phone, and, finally, an audio headset. The first thing to do is plug the computer into the mixing table. The computer will broadcast the sound it receives from the mixing table to your radio station. 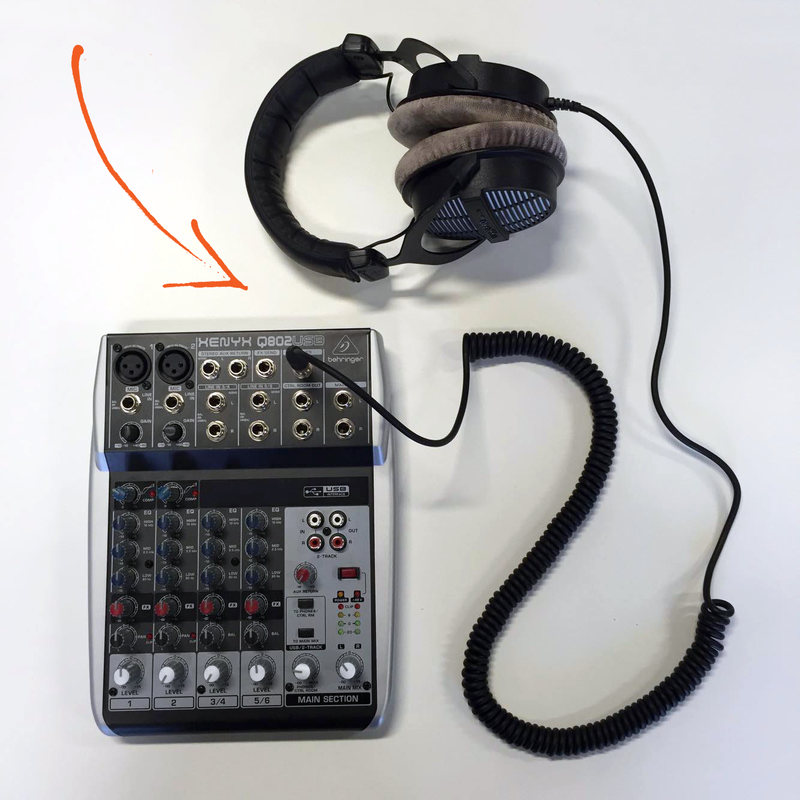 If your mixing table is not USB-compatible, you will need to arm yourself with an RCA/mini-jack cable (3.5mm). 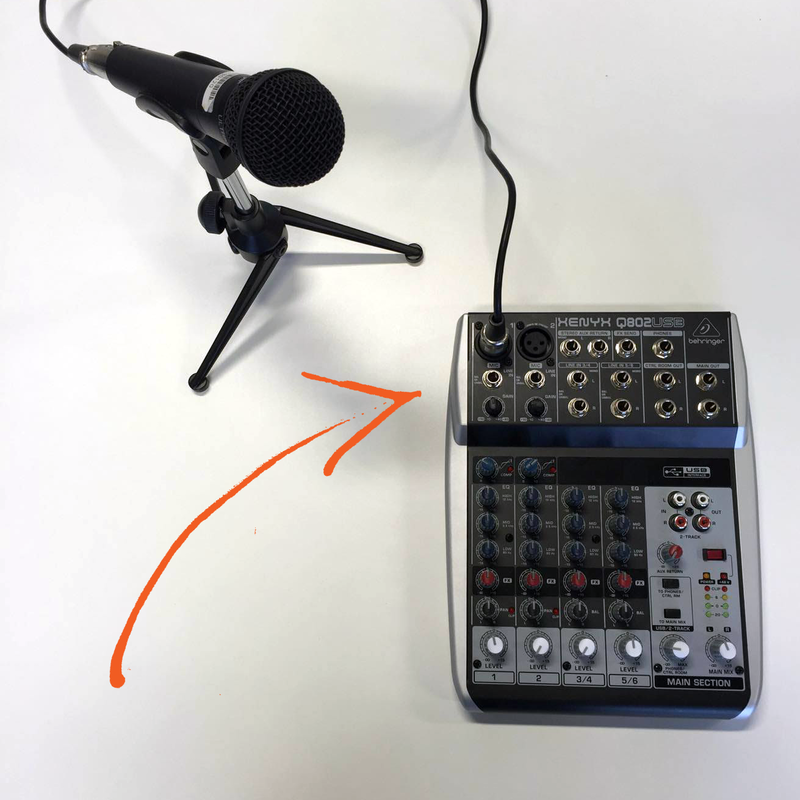 If you are using a classic mixing table, plug the mini jack end of the cable into the “microphone” socket of your computer, and the RCA end into an output on your mixing table. The microphone which you are about to connect is the one which will allow your audience to hear you speak. It also needs to be plugged into the mixing table, but this time using an XLR cable. The type of microphone is not important, but you should be aware that the quality of the microphone is directly linked to the sound quality. This device is compatible with all types of telephone, provided they are fitted with a headphone jack (which is the case for all modern cell phones). To connect it to the mixing table, you will need another RCA/mini-jack 3.5mm cable. 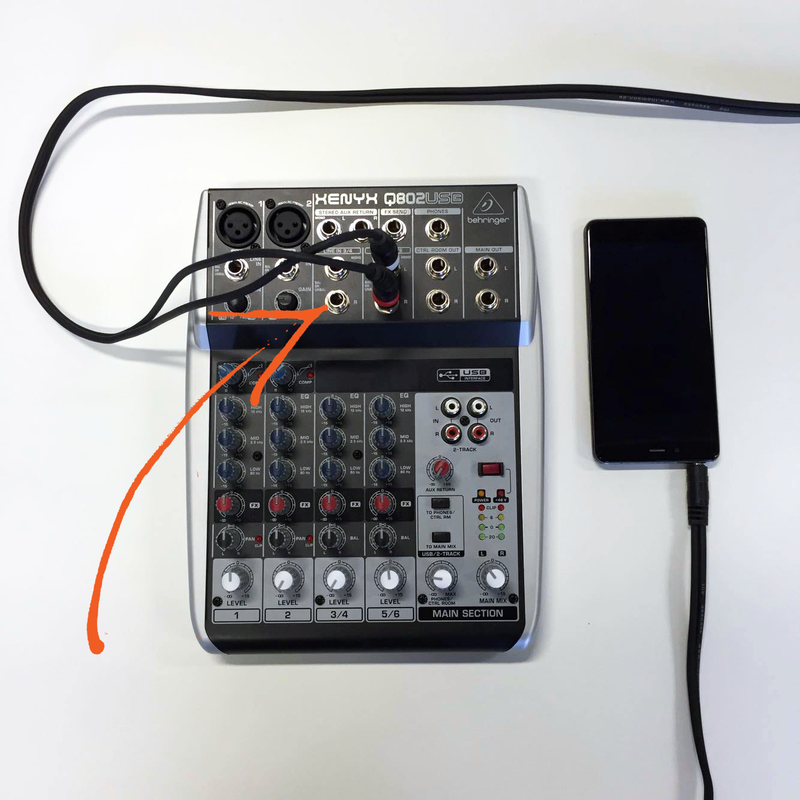 Plug the mini-jack end of the cable into the phone’s headphone jack, and the RCA end into an input socket on the mixing table. Once it is connected, the sound from the telephone will be transmitted to the mixing table, and then on to the computer to be broadcast. The speaker on the phone will hear you thanks to the phone microphone, and not through the microphone which was connected previously. Finally, the last step, without which you will not hear the speaker on the phone: connecting the audio headset. The type of headset is not important, and all you need to do is plug it into an output socket on the mixing table. 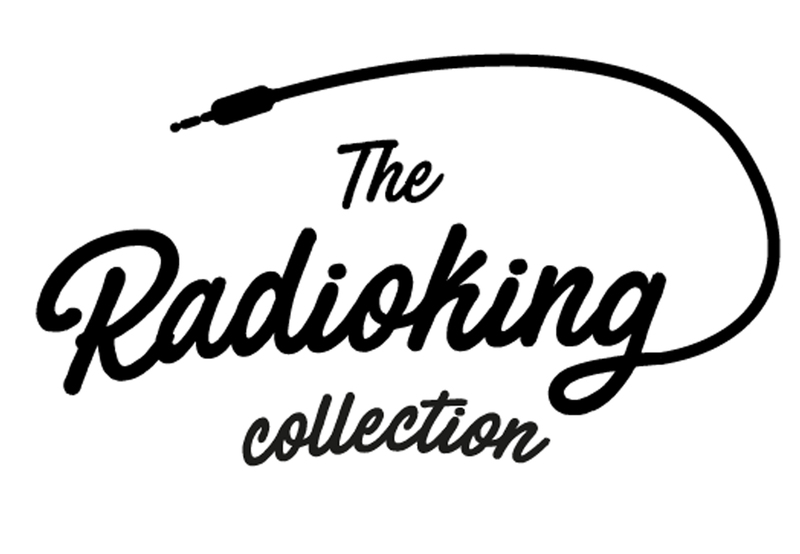 You will thus be able to hear exactly what is being broadcast on your radio station. Once these four steps have been completed, your device will be complete and ready to use. Once you have checked that the device works, you will be ready to load up your broadcasting software and go live on air. You will then be able to make or receive telephone calls, live on air, to your heart’s content. Register your radio station domain name today!